Here in Owings Mills, there’s never any reason to hesitate about contacting us when you experience a dental emergency. Our team understands that by nature, emergencies are inconvenient; that’s why we want to be there for you during these stressful times and ensure that you get the care you need as quickly as possible. Dr. Monica Mattson does her best to see emergency cases as soon as possible, although we recommend that if heavy bleeding or injuries that extend beyond dental care have occurred, you should go to your nearest emergency room. First, rinse the tooth gently under warm water to remove any dirt or debris. Do not tear off any pieces that originally belong to the tooth! Then, if possible, place it gently back into its socket and hold it in place until you’re able to reach us. If this doesn’t work, placing the tooth in a cup or baggie of milk is also helpful. Be sure to bring it with you to our office. There, we can decide whether reattachment is possible. Do you still have the crown? If so, then dry your natural tooth, dab a very small amount of toothpaste onto the crown, and then gently place it in its original position. Dental wax or adhesive can also be used for the same purpose. Then, contact our office right away so that we can schedule an emergency visit for reattachment. 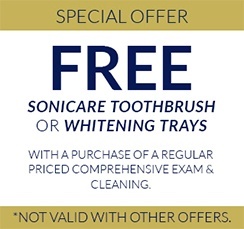 At Diamond Dental of Owings Mills, we consider you a valued member of our oral healthcare family. Please call us anytime if you need assistance. Our flexible hours, state-of-the-art technology, and varied selection of high-quality services are designed with our patients’ needs in mind.